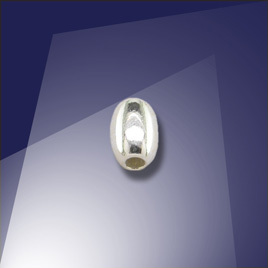 Swarovski 5601 4mm Crystal (001) Comet Argent Light Cube Bead. Comet Argent Light is a clear crystal glass bead, half coated with a bright, shiny, aluminium type silvery mirror like coating. 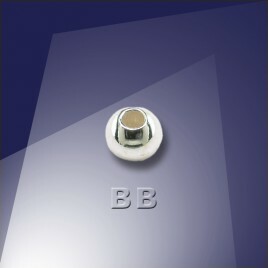 Because this glass bead is only half coated with the Comet Argent Light effect, the un-coated half of the glass bead takes on some prismatic type, reflective properties, giving the glass bead an appearance of great depth, while still retaining brilliance. This effect is caused by light entering into the bead and bouncing around and off the internal surfaces of the glass bead, this is accentuated by the half mirror like coating, which does not allow light to pass through and amplifies the overall effect. 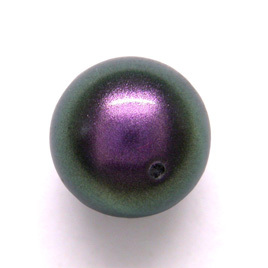 A little skill and forethought are needed when working with this glass bead, because pleasing as it is, it can quite easily overpower. That aside it easily defines strong statement jewellery pieces in need of a little "Swarovski Wow Factor". Swarovski is the world's premium brand for crystals. From their long traditions, experience and mastery in cutting, Swarovski produces perfectly cut light filled crystals of breath-taking range and brilliance, evoking deeply felt individual responses in all whose lives they touch.